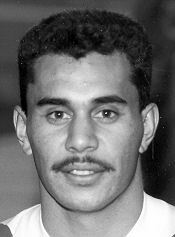 The one and only success! 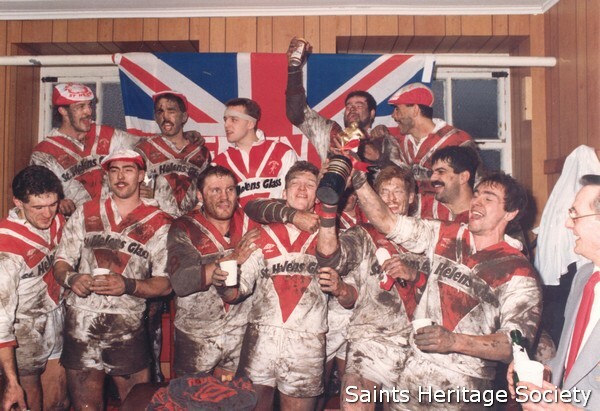 The arrival of 27 year-old master tactician Shane Cooper, from New Zealand coincided with the team's best rugby of the campaign, climaxed by a memorable victory in the John Player Trophy Final - the only major honour that had eluded the St.Helens club in its long history. 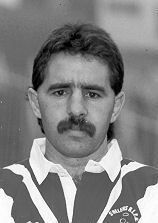 The two evenly-matched sides produced two tries and three goals, the difference proving to be a 38th.minute drop-goal from scrum-half Neil Holding, who had a storming game in the Central Park mud. 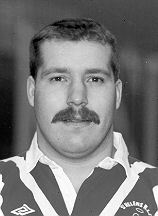 Yet it was centre Paul Loughlin who was a clear choice as Man-of-the-Match, with two superb tries. 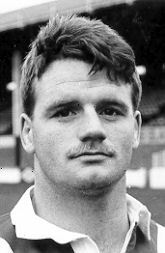 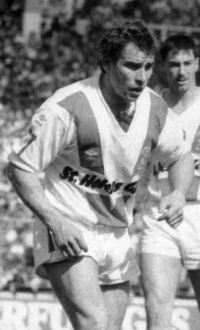 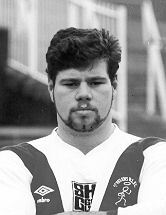 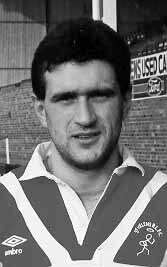 His display that afternoon did much to secure his selection for the 1988 tour to Australia, together with team-mates Paul Groves, Roy Haggerty and Andy Platt. 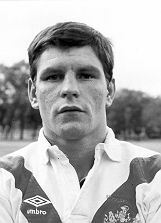 It was big-spending Leeds - with four Australians in their ranks - who scored first, courtesy of a converted try from stand-off David Creasser. 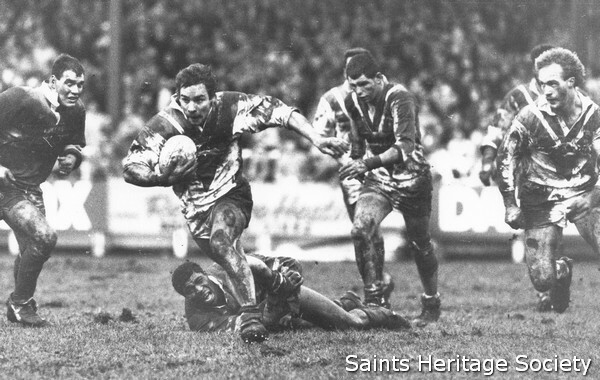 Paul Loughlin booted over a penalty, followed by a surging run ending between the posts to give Saints the lead - despite strong appeals for a double-movement! 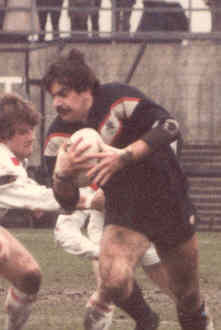 A Creasser penalty goal kept the Loiners in with a shout and Leeds capitalised after second-rower Peter Souto lost the ball in his own half. 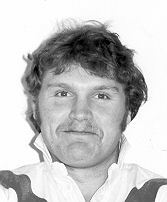 Maskill fed Creasser, who set up Australian Superstar Peter Jackson for a classy four-pointer. 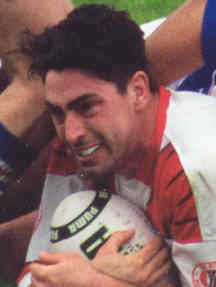 The conversion gave Leeds an 14-8 advantage, reduced by Holding's crucial 'drop' just before half-time. 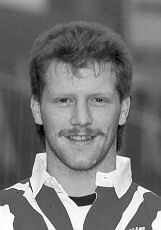 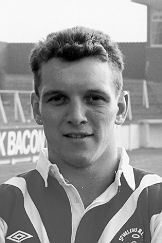 Saints grasped the nettle after just two minutes of the re-start, when a flowing move out wide involving Platt and Forber saw rangy centre Paul Loughlin cut inside in classic fashion, leaving Basnett and Australian full-back Marty Gurr trailing in his wake en route to the Leeds' posts. 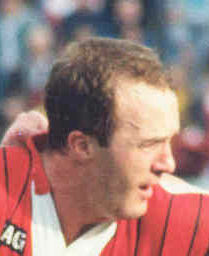 He belted over the conversion for good measure, putting St. Helens 15-14 ahead. 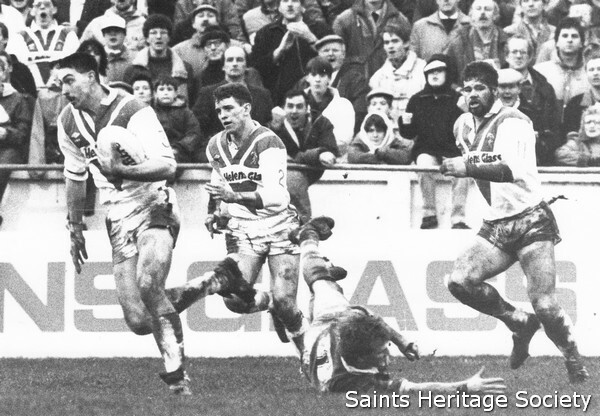 The Leeds forwards continually drove into the Saints' half as the game went on - but to no avail. 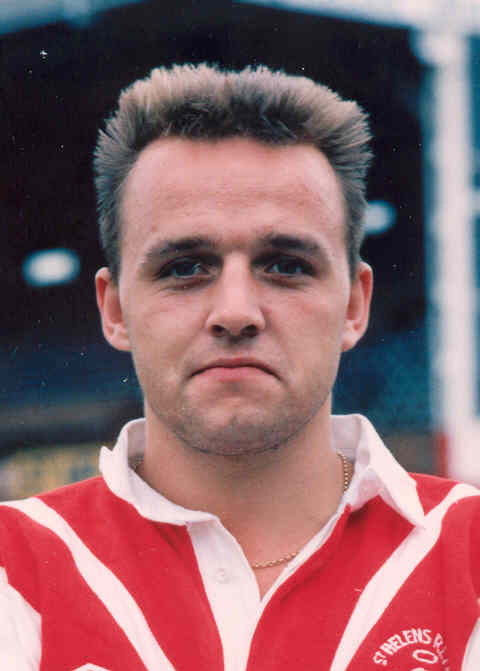 It was to be Coach Alex Murphy's finest hour in his spell at Knowsley Road, after a truly epic encounter, in front of a huge national television audience - the perfect advert for the 'Greatest Game!